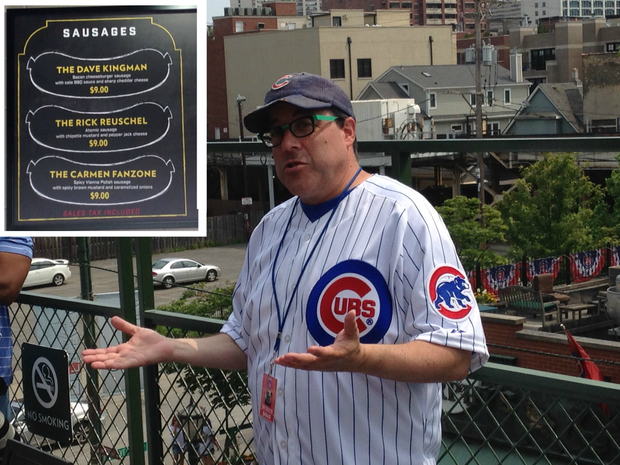 Hot Doug is bringing his famous sausages to Wrigley Field. CHICAGO — Hot Doug is coming to Wrigley. On Friday morning, the Chicago Cubs unveiled a new lineup of concessions at Wrigley Field with a familiar face in the mix: beloved sausage king Hot Doug, who announced that his famous sausages will be available at it the stadium's new concession stand. Doug Sohn, founder of Hot Doug's, which closed to enormous lines in October, said that as a lifetime fan, opening the stand at the Chicago Cubs' home field was like a dream come true. "When I closed the restaurant in October and people asked 'well, what are you going to do?" I said 'I had no idea' and then this happens," Sohn said. "The outpouring of love and support from Chicago for Hot Doug's was incredible, and it became clear our fans were still craving the sausages the made our restaurant famous," said Sohn, reminiscing about the shuttered hot dog stand at 3324 N. California Ave. In addition to the new dining options at Platform 14, two new grill stations have aso opened — the Waveland Grill and the Red Line Grill — along with a new beverage station, Three Fingers, said Crane Kenney, President of Business Operations for the Cubs. "That's going to mean shorter lines, more variety, a little more fun and, obviously, more baseball [as customers] get back to their seats a little quicker," he said. 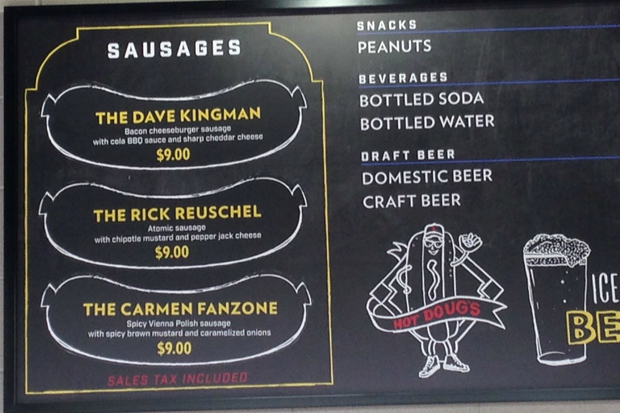 Three sausages were listed on the menu unveiled Friday, each priced at $9: The Dave Kingman, a bacon cheeseburger sausage with cola BBQ sauce and sharp cheddar cheese; The Rick Reuschel, an atomic sausage with chipotle mustard and pepper jack cheese; and The Carmen Fanzone, a spicy Vienna Polish sausage with spicy brown mustard and carmelized onions. The sausages are named after "the Cubs of my youth, the guys I hold near and dear" when Sohn would take the bus along Lake Shore Drive to Addison Avenue and walked to the stadium in the mid 70s, he said. 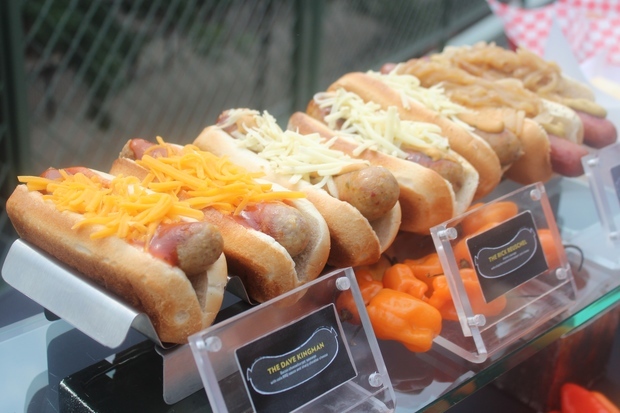 The sausages will rotate every homestand to keep the season ticket holders appetite "satisfied" with an onslaught of different Hot Doug dogs. He started with the Dave Kingman and Rick Reuschel because they were, as far as Doug's favorite players go, No. 1 and No. 2. "The opportunity to partner with the Cubs and serve our product at historic Wrigley Field was too tempting to pass up, and we're thrilled that Chicagoans now have a chance to enjoy Hot Doug's once again," Sohn said. Oh yeah, and about those delicious Duck Fat Fries? They're coming soon.